Recently here in the UK the weather has turned bitterly cold. has felt so much more like winter. although I know some of you in different areas of the UK have had loads. 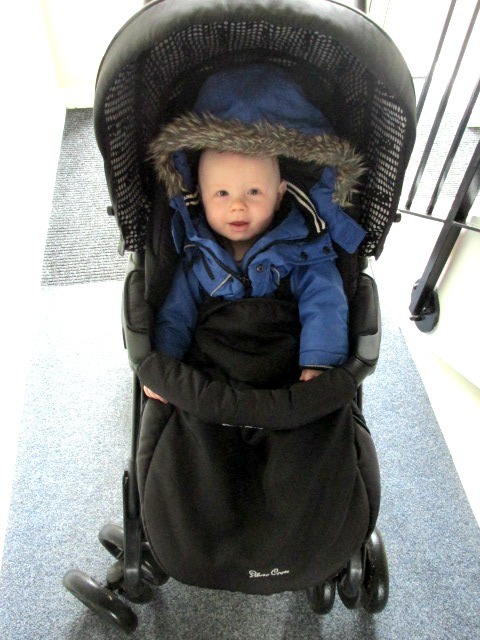 So what can you do to make sure little ones are warm and snug in the cold weather? When its really cold we make sure that Blake wears a long sleeve vest as well as a jumper on under his coat/snowsuit. Depending on how cold it is we put Blake in either a coat or a snowsuit. even come with mittens attached. We always put Blake in a hat for extra warmth with his hood from his snowsuit/coat up. We do this even though he may pull it off for reassurance that he is warm. to have one with the cold weather looking to last longer. Blake like most babies and toddlers loves to keep taking his shoes and socks off! at rest knowing that the cosytoes will keep his little feet warm. you can find ones that go for your brand of travel system/buggy or you can purchase a universal one. Do you use a cosytoes/footmuff?